It’s that time of year again… time for the Vantentine’s Day pun! I drew a little etegami of a heart-shaped cactus I saw years ago at the Arboretum in Ann Arbor, Michigan. 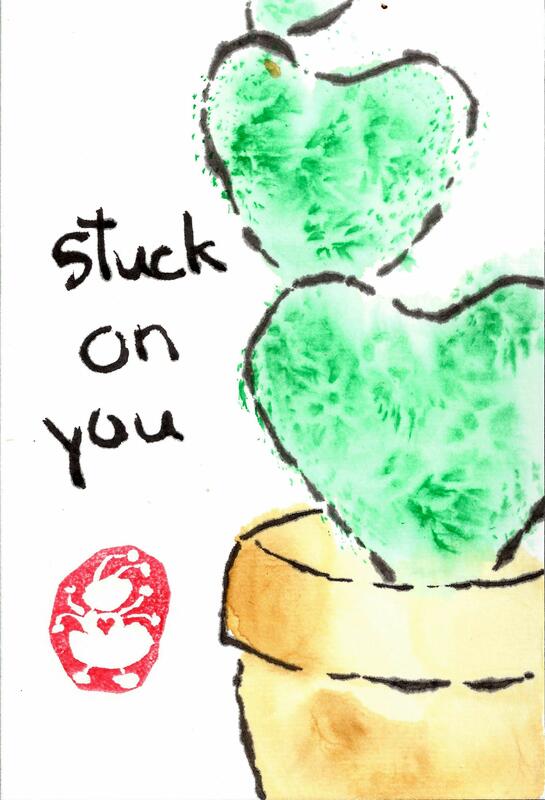 Happy day to you and whomever you’re stuck on.